References, figures, tables, structure etc should be referred to in the text at the place where they are first discussed. Figure legends/captions should be provided. The Journal accept regular reviews, mini-reviews, book reviews, letter to editor, original research articles and drug clinical trial studies written in English. Single topic/thematic issues may also be considered for publication. These special issues are peer-reviewed and may contain invited or uninvited review/mini-review articles. A Single Topic Issue Editor will offer a short perspective and co-ordinate the solicitation of manuscripts between 3-5 (for a mini-thematic issue) to 6-10 (for full-length thematic issue) from leading scientists. Authors interested in editing a single topic issue in an emerging topic of outstanding developments in aging science may submit their proposal to the Editor-in-Chief at thematicissue@benthamscience.net for consideration. 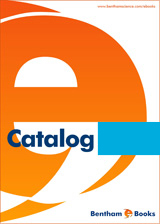 Visit Special-Issues for viewing forthcoming issues. The journal will also consider for publication letters that comment on original work and reviews published in Current Aging Science. It is recommended that these letters usually not exceed 400 words plus up to 10 references. Longer letters are less likely to be published. However, the Editors recognize that in some cases letters may need to be longer. All letters should be submitted to the journal Editor-in-Chief. Authors/readers are encouraged to comment/ debate/ challenge any of the published articles of this journal. The journal publishes book reviews on recently published books (both print and electronic) relevant to the journal. Proposals for publishing book reviews should contact to editor first at cas@benthamscience.netstating the title of the book, publisher, year of publication and book summary. No books must be sent to Bentham Science prior to their confirmation to the publisher concerned. Authors should also provide a short running title. Title, running title, byline, correspondent footnote and keywords should be written as presented in original manuscripts. The main text should begin on a separate page and should be divided into title page, abstract and the main text. The text may be subdivided further according to the areas to be discussed, which should be followed by the List of Abbreviations, Conflict of Interest, Acknowledgements and Reference sections. For Research Articles/Letters the manuscript should begin with the title page and abstract followed by the main text, which must be structured into separate sections as Introduction, Material and Methods, Results, Discussion, Conclusion, Ethics Approval and Consent to Participate, Human and Animal Rights, Conflict of Interest, Acknowledgements and References. If your research article reports the results of a controlled health care intervention such as a Drug Clinical Trial Studies/Case Report, list your trial registry, along with the unique identifying number. For Review, the manuscript should be divided into title page, abstract and the main text. The text may be subdivided further according to the areas to be discussed, which should be followed by the Acknowledgement and Reference sections. 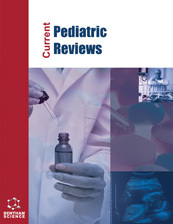 The review article should mention any previous important reviews in the field and contain a comprehensive discussion starting with the general background of the field. It should then go on to discuss the salient features of recent developments. The authors should avoid presenting material which has already been published in a previous review. References must be listed in the numerical system (Vancouver). All references should be numbered sequentially [in square brackets] in the text and listed in the same numerical order in the reference section. The reference numbers must be finalized and the bibliography must be fully formatted before submission. It is necessary to list all authors if the total number of authors is 6 or less and for more than six authors use et al. Beeri MS, Schmeidler J, Silverman JM, et al. Insulin in combination with other diabetes medication is associated with less Alzheimer neuropathology. Neurology 2008; 71(10): 750-7. Lahiri DK, Maloney B, Ge YW. Functional Domains of the BACE1 and BACE2 promoters and mechanism of transcriptional suppression of the BACE2 promoter in normal neuronal cells. J Mol Neurosci 2006; 29(1): 65-80. Stevenson WG, Friedman PL. Hennekens CH, Eds. Clinical trials in cardiovascular disease. Philadelphia: WB Saunders Co. 1999. Lahiri DK, Ge Y, Nurnberger JI, Yang EY,Walsh TJ, Bondy SC. Melatonin, nitric oxide synthase and oxidative stress. In: Nagatsu T, Nabeshima T, McCarty R and Goldstein D, Eds. Catecholamine research: from molecular insights to cinical medicine. New York: Kluwer Academic/ Plenum Publishers 2002; pp. 245-48. If the number of authors exceeds six then et al. will be used after six names (the term “et al.” should be in italics). All authors must strictly follow the guidelines below for preparing illustrations for publication in Current Aging Science. If the figures are found to be sub-standard, then the manuscripts will be rejected. For more information please contact the Editorial Office by e-mail at cas@benthamscience.net.